Burlap blooms wedding invitation in hazelnut with a bracket trim. Belluccia is a rough script typeface designed by Debi Sementelli and Brian J. Bonislawsky. The typeface has been designed with many opentype features such as ligatures, stylistic alternates, contextual alternates, swashes etc, allowing you to create the visual diversity that gives you the unique look of custom lettering. Now it is available in two variants, classic and bold. 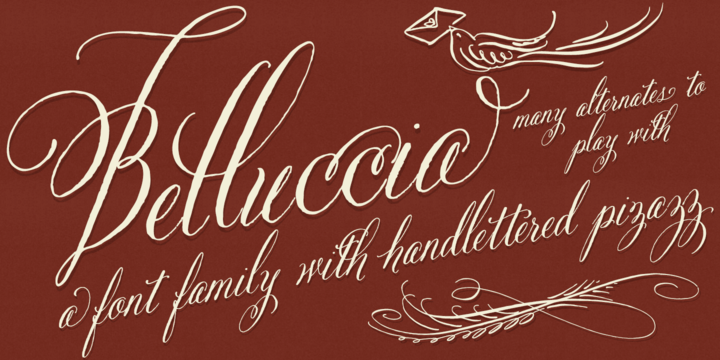 You can buy and download Belluccia at Myfonts.